Thanks to the Emergency Medical Services Project, better trained and managed medical personnel in hospitals across Uzbekistan will be appropriately equipped to help millions of people impacted by accidents and medical emergencies, the World Bank said in its press release. The project was approved in April 2018 by the World Bank’s Board of Executive Directors and will be financed by a $100 million credit. The project launch workshop took place on Oct. 22 at a seminar in the Samarkand regional branch of the Republican Scientific Center for Emergency Medical Aid involving representatives of the Ministry of Health of Uzbekistan and the World Bank. The principal beneficiaries of the Emergency Medical Services Project will be people with trauma, medical and obstetrical emergencies. Hospitals across the country will receive support to enhance their capacity to effectively respond to these emergencies. Improved response times, better equipment and better training, should result in better outcomes in terms of reduced mortality and morbidity, increasing confidence among Uzbek citizens in the quality and professionalism of the EMS. In turn, this should lead to increased utilization of the service for true emergencies with concomitant improvements in outcomes. 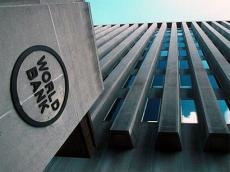 In Uzbekistan, the World Bank is implementing 18 projects totaling over $3.3 billion with the aim to support the Government’s ambitious social and economic reforms. These projects support macroeconomic reforms, development of agriculture and water resources management, healthcare, education, water supply and sanitation, energy, transport, and urban sectors. They contribute to the country’s economic growth and higher living standards for the people of Uzbekistan.